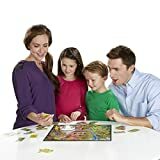 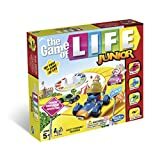 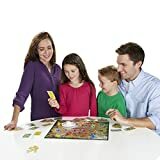 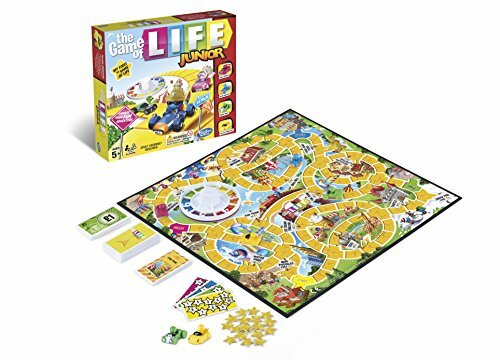 The Game of Life Junior game has the classic gameplay of choices and chance, and players get to move around the board using cool car tokens that take them on fun adventures. 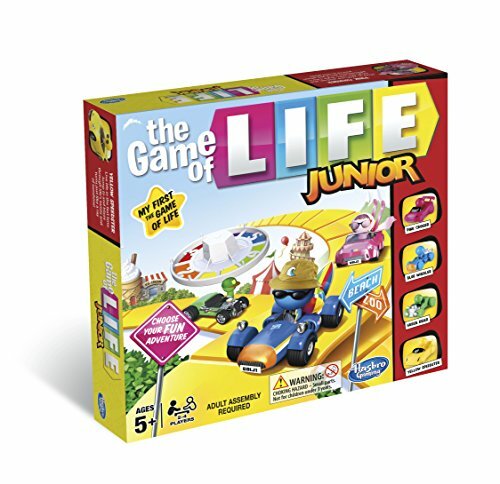 Players pick their 3-D car token and make their own exciting choices and decisions that can engage their imaginations. 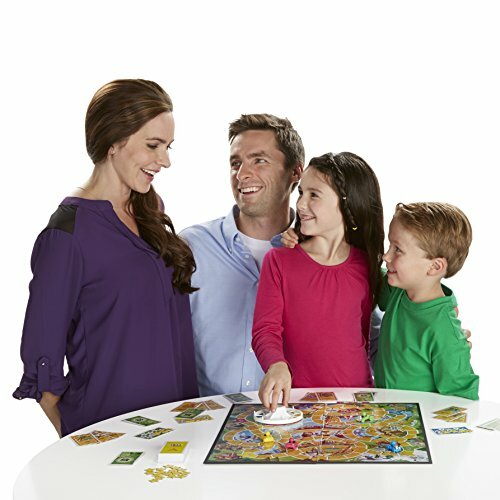 Will they visit the beach and describe building a sandcastle, or go to the zoo to see favourite animals? 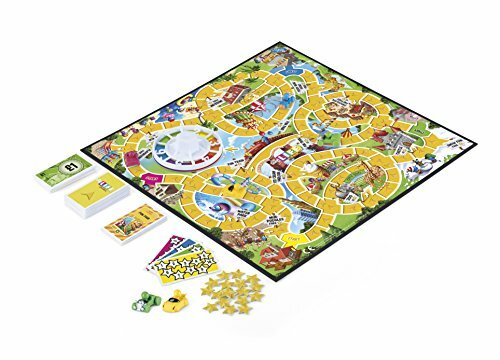 Players perform simple activities and actions requested on the Action cards, such as finishing a song, acting, or telling a story to earn stars or money. The player to collect 10 stars first wins. 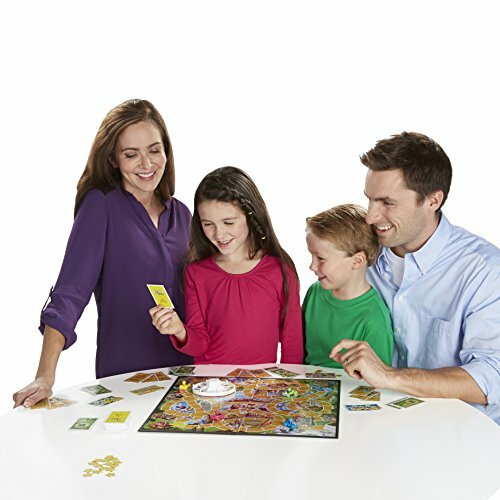 Spin to Win is a trademark of The Trustee of the Reuben B. Klamer L.T. Hasbro Gaming and all related terms are trademarks of Hasbro.